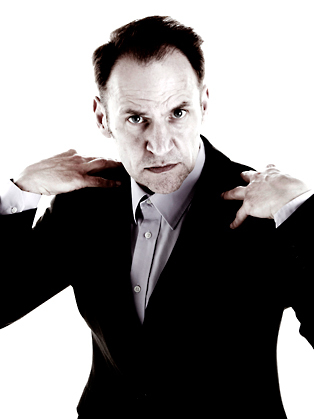 Geoff Whiting is a hugely successful stand-up comedian and developer of new acts. 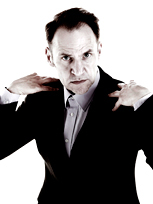 Geoff Whiting is a hugely successful stand-up comic, being one of only a handful of comics worldwide to have performed stand up comedy in a pod on the London Eye, as well as developing and supporting comedians, such as Jimmy Carr, Michael McIntyre, and Sarah Millican, to their rise to fame. He is one of only a handful of comics worldwide to have performed stand up comedy in a pod on the London Eye (for BBC: The One Show) and was the first English Speaking comic to ever perform at Club 99 in Bucharest, Romania. When he is not performing, he books other comedians into comedy clubs too and has had the pleasure of seeing many new acts, such as Jimmy Carr and Sarah Millican, build their careers over the years. He has supported Michael McIntyre, Harry Hill, Dara O'Briain, Omid Djalili, Lee Mack, Ross Noble, Rhod Gilbert, Milton Jones, Micky Flanagan, Noel Fielding and Lee Hurst. 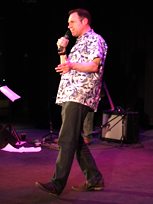 Geoff got things just right as both our compere for our awards evening and as a comedian with his own slot in the evenings entertainment. Given it was a corporate event he read the audience really well and was able to tread a line that kept HR happy yet didn’t in any way dilute the humour. He had the audience laughing out loud and got an excellent response during and at the end of his set. Whether it was male or female staff there was unanimous feedback on how much they had enjoyed his humour. We would happily recommend Geoff to any other audience, corporate or otherwise and we would definitely engage him again.